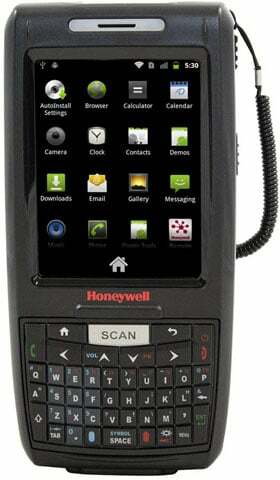 Honeywell Dolphin 7800 Android - 80211a/b/g/n / Bluetooth / GSM And HSDPA for voice And data / Numeric / GPS / Camera / Extended Range Imager with Laser aimer / 256MB x 512MB And 2GB SD card / Android 23 / Ext Battery / WW English. Scan distance is from contact to 2.5'. Interface cables And Charging Cradle Sold Separately. Delivers fast business transactions, allowing workers to complete multiple tasks quickly. 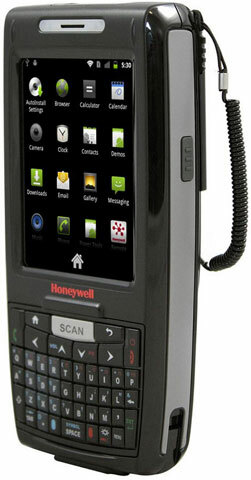 For demanding mobile workforce applications that require multiple tasks be completed in a limited amount of time, Honeywell's Dolphin 7800 Android rugged enterprise digital assistant EDA delivers multi-purpose computing, communication, and data collection at desktop like speed, empowering workers to get the job done, regardless of location. The Honeywell 7800LWN-GC133XE is also known as HSM-7800LWN-GC133XE	or 7800LWNGC133XE	.